The TTB-6055T traction drive machine has a 60 litre capacity and a 55cm (20”) single brush scrubbing path, dual brush pressure selection, built in battery charging, easy fill and easy emptying facilities. In terms of operation the Nutronic control system provides for individual speed and water flow rate settings with additional Hi-Lo selection for use in more sensitive areas. 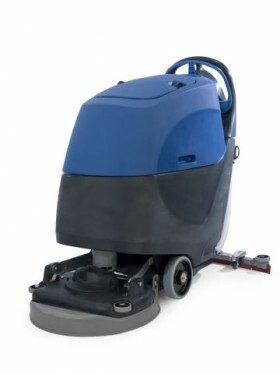 A full range of brush and pad drive systems are available, in order to provide the correct specification for the type of floor to be maintained. All brushes are fully interchangeable and can be varied to suit changing conditions or a change in location.